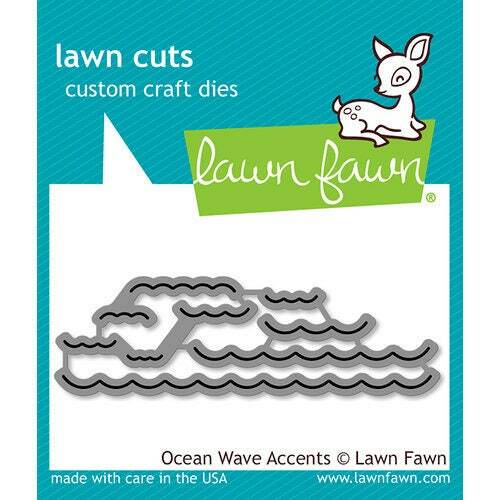 Make wavy creations using the Ocean Wave Accents Die Set from the Lawn Cuts Collection by Lawn Fawn. These dies are made in the USA and are compatible with most die cutting machines sold separately. The package includes 6 thin metal dies that vary in length from .5" to 2.75"